Previously, we analyzed the industrial design protections available under the E.U. Regulation on design and the U.S. law on design patents.1 However, both in the E.U. and in the U.S., industrial design can also be protected by copyright law. Herein, I will briefly outline the E.U. and the U.S. approach to copyrighting useful articles, with a particular focus on the protection of lamps which embody an original and aesthetic design. 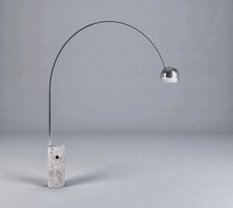 In the landmark case Flos v. Semeraro,5 related to the design infringement of the famous lamp “Arco” designed by the Castiglioni brothers,6 the Italian Court of Milan set forth a list of objective factors to evaluate whether an article of industrial design possesses enough “creative character” and “artistic value” to be eligible for copyright protection. Such factors are aimed at ascertaining the widespread appreciation, by the public at large as well as by the cultural and artistic institutional sector, of an article of industrial design. By applying these factors, the Court of Milan concluded that “Arco” was copyrightable because the lamp (i) obtained several awards, (ii) was included for over ten years in a collection of the New York Museum of Arts and Design (“MOMA”), (iii) had the ability to represent the trends of post-war Italian industrial designs, (iv) and enjoyed widespread appreciation from critics as well as from the public, as demonstrated by consumers’ willingness to pay more money to buy “Arco” than to purchase other lamps available on the market. Once an article of industrial design has passed the test for copyrightability, its status is “elevated” from that of a design product — which is subject to the Italian law on design and the 5 up to 25-year protection it grants — to that of a copyrightable “work of art”. The protection granted by the latter is broader, lasting for the lifetime of the author plus 70 years. 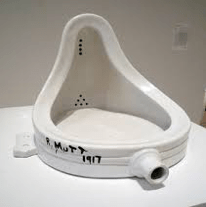 In this way, Italian legislators wanted to confine the more favorable copyright protection to the few articles of industrial design which, having intrinsic “artistic value”, are capable of embodying the artistic trend of a particular era of design. 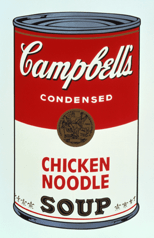 In particular, in Mazer, the Supreme Court was asked to analyze whether objects that are “works of art” can be copyrighted when incorporated into mass-produced utilitarian articles. In its decision, the Supreme Court clarified that a work of art does not cease to be copyrightable when it is embodied in a useful article, and stated that the lamp-base sculptures at issue were copyrightable because they exhibited sufficient originality and because such sculptures were “separable” from the lamp in which they were embodied. However, while in Mazer the lamp-base sculptures were easily physically and conceptually separable from the utilitarian objects into which they were incorporated, in other cases the separability test is quite difficult to apply. What if, for instance, there are no elements that, physically or conceptually, are separable from the article, and what if the overall shape of the useful object has to be considered for copyright protection? Therefore, it seems that in the U.S., even if the appearance of an article is determined by aesthetic (as opposed to functional) considerations, only the elements which can be identified separately from the useful article, if any, are copyrightable. Overall, the previous analysis shows that the threshold for the grant of copyright protection to industrial design is quite high both in Italy (and by extension, the E.U.) and in the U.S. Indeed, in Italy copyright protection is available only for the few industrial designs that, with time, have been recognized as “icons” of an artistic era, whereas in the U.S. the “separability test” bars the copyrightability of almost all industrial designs with configurations that make it impossible to detach – physically or conceptually – a particular element from the object on which it appears. 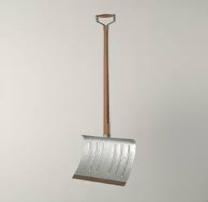 In my view, the law should be more flexible when it comes to establishing the copyrightability of industrial design. This is especially true when one considers that the notion of “art” tends to be subjective, and that the line between “works of art” and “useful articles” is becoming more and more fuzzy. Nowadays, several articles of industrial design are, indeed, comparable to works of art, both in terms of the aesthetic appeal of their forms, and the originality of their designs. 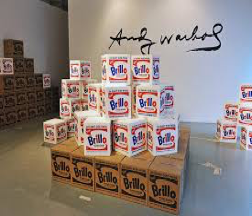 At the same time, a number of notable artists have created, and are creating, works of art that reproduce the features of mass-produced products. 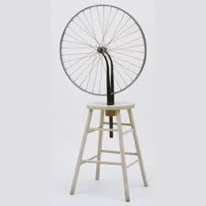 Just think of Marcel Duchamp, who displayed everyday products — such as a porcelain urinal,19 a bicycle wheel,20 or a snow shovel21— and declared them “works of art” to challenge the traditional definition of “art;”22 or Andy Warhol, who carried several consumer-products into the realm of painting and sculpture — for instance the famous cans of Campbell’s soup23 and the “Brillo Box”24 — to try to answer the perennial question of what “art” is. At this point, what is the difference between, for instance, an original and creatively designed lamp, and a sculpture that reproduces the design of the same lamp but does not illuminate spaces and, thus, is not deemed “useful”? To the extent that they are both creative, original, and the result of the intellectual and manual efforts of their artist, do they really deserve different treatment when it comes to their legal protection? Vera Collavo is an Italian Attorney and a current LL.M Student at Fordham University School of Law, with a concentration in Intellectual Property and Information Technology Law. She is a staff member for the Fordham Intellectual Property, Media and Entertainment Law Journal.